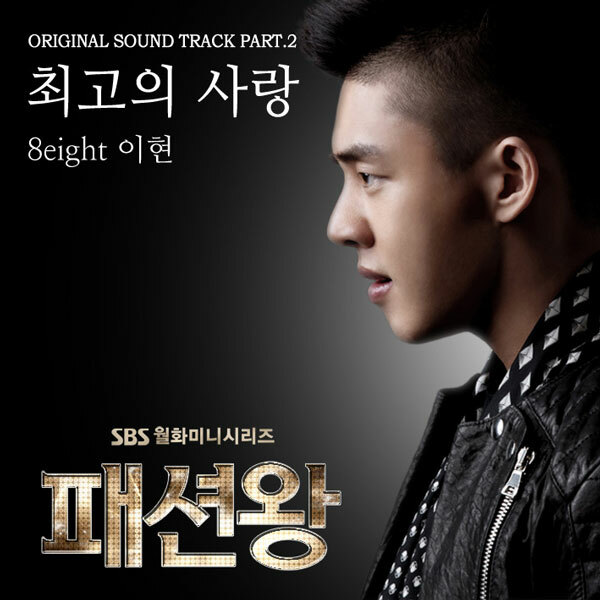 Korean drama Fashion King starring Yoo Ah In, Lee Je Hoon, Shin Se Kyung and Kwon Yuri releases its 2nd OST (original sound track) on April 3rd, 2012. The Fashion King OST part 2 has the song title of The Greatest Love (최고의 사랑), which can also be translated as Best Love. The Greatest Love is sang by Lee Hyun (이현) of 8Eight (에이트), a South Korean music trio. Listen to The Greatest Love (최고의 사랑) at YouTube.